VTM Inc.'s President and Chief Consultant Rich Baek has been selected as the winner of the Small Business Administration’s “Small Business Person of the Year” award for the state of Oregon. The Small Business Administration’s “Small Business Person of the Year” award is given to an individual in each state who is dedicated to the support of the small business community, and who owns or operates a business defined as “small” under the SBA size standards. He was selected as Oregon’s winner after being judged on a set of criteria including staying power, growth in number of employees, increase in sales, current and past financial performance, innovation in product or service offered, and response to adversity. Baek -- who holds an MBA degree from the University of Portland -- shares highlights of his success as an entrepreneur, growing VTM Inc. and must-read management titles. What's your secret to creating exponential growth in the global marketing and public relations business? Our “secret sauce” is our corporate culture. In fact, we’ve coined the term “VTM-DNA” to refer to our core culture. VTM-DNA captures the founding principles and the essence of who we are as an organization, which of course consists of who we are as individuals. It is the preservation and proliferation of the core VTM-DNA that has been the key ingredient to our success. VTM-DNA prescribes individuals to be hardworking, diligent, honest, and committed to VTM. We have been able to create an organization where satisfied employees can focus 100% client retention, which is one of our key success metrics. We’ve been successful at accomplishing this, which means that we’ve never lost a client to a competitor in our 11 years of existence. We’ve done this by eliminating internal politics, focusing on the key issues, and always striving to align our goals. Another important concept is to point all vectors and key interests in the same direction. Business leaders can do this by always seeking business relationships that are mutually beneficial and crucial, rather than building partnerships on “favors”, which always drop to the last priority when other things become urgent. What has been your biggest obstacle and how did you overcome it? One of our biggest challenges has been to make sure that our infrastructure keeps up with our rapid growth. The limited ability for the office space to grow was our biggest infrastructure problem. We solved it by purchasing a building that more than doubled our capacity. Now we can be assured that our investment will benefit us for many years, and, that we will be able to control our own destiny. For example, we installed more than 20 miles of data and phone cable in addition to our wireless infrastructure when we moved into our new location. That will ensure the fastest and most secure connectivity available. What is the one thing that VTM Inc. does better than any other company in the world? Our motto is: Done right, the first time, every time. We can make such a bold statement and promise to our clients due to our proficiency to think without limitations and boundaries, which leads to the best strategies. We also have a proven track record of executing flawlessly on the ideas we recommend. This is how we accomplished our 100% client retention track record. Who is your favorite management or strategy guru? Why? My main source of inspiration comes from my mother Sue Baek and her entrepreneurial vision and leadership skills. She seems to have been born with those gifts. She has guided many of my key decisions over the years. She is also a board member of VTM and vice president of finance.Additionally, I’ve been inspired by many people and sources. Some of them include Drucker, Kotler, and Grove. Other sources of inspiration include Sun Tzu’s Art of War, Miyamoto Musashi’s The Book of Five Rings, the story of The Three Kingdoms, and, Jimmy Carter for his diplomacy and compassion towards humanity. When I started the company, I was just 27 years old. One of the things I recognized that I lacked was the number of hours logged and the wisdom that comes from plenty of real world experience. To make up for this deficiency, I worked to understand other people’s experiences and the perspective that they shared when they described their work to me. 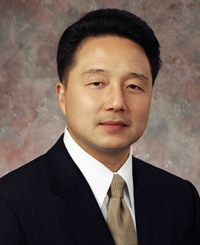 "Our motto is: Done right, the first time, every time"
Rich Baek, founder, president and Chief Consultant, VTM Inc.